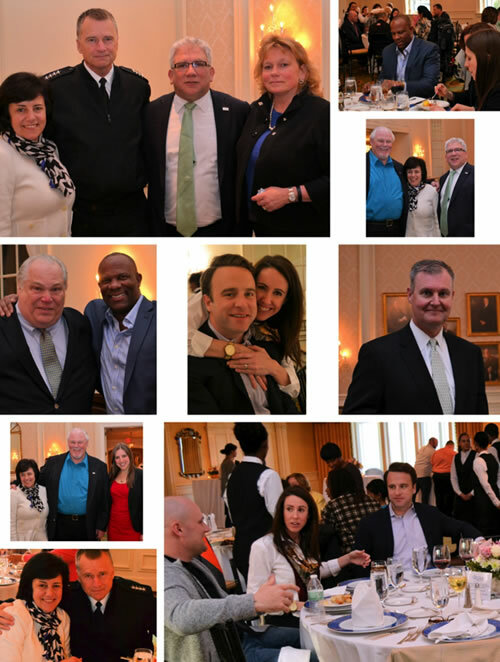 Aleethia wishes to extend our gratitude to Tom Caruso/Ameriprise Financial for hosting the March 27th Friday Night Dinner at Washington Golf & Country Club. 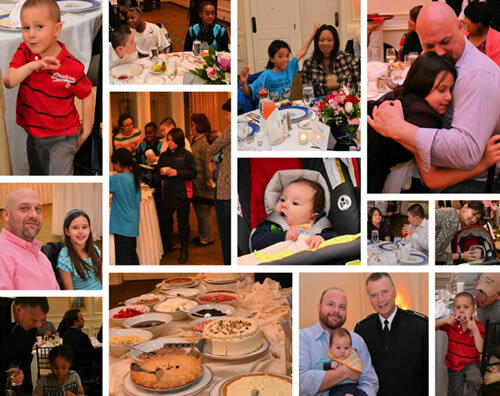 Over 86 wounded/injured/ill service members, their families and guests enjoyed a fantastic five-course dinner. 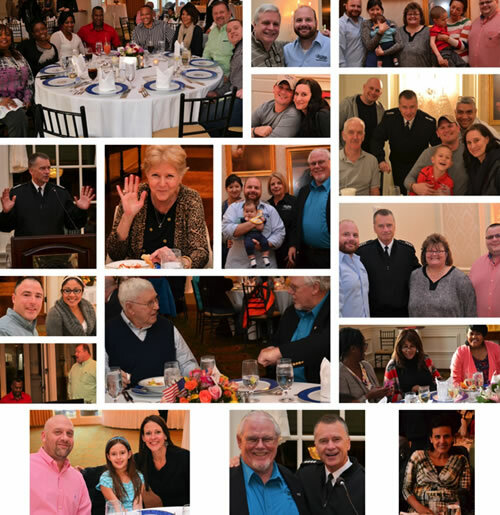 We were glad to have our special friends, Admiral Winnefeld and his wife, Mary joined us for the evening. It was a cold night outside but the tables were adorned with beautiful “Spring” flower arrangements that were designed by the volunteers of “Freedom Petals.” This is “Freedom Petals” sixth year of bringing smiles, hopes and healing through their flowers to recuperating service members at Walter Reed National Military Medical Center. 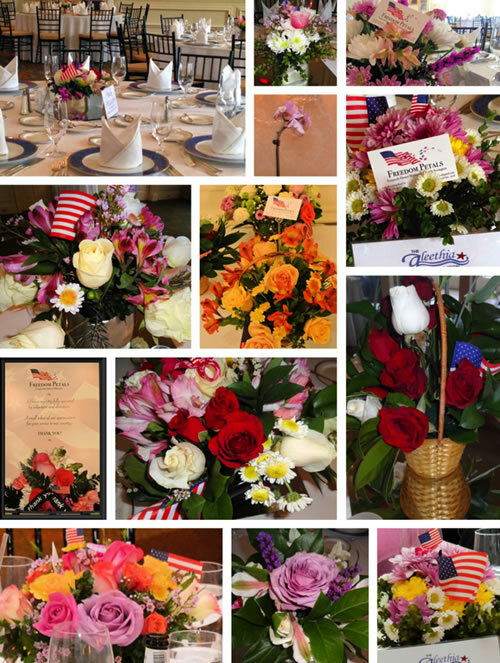 “Freedom Petals” is a non-profit flower ministry founded by Michele Bevington. Aleethia greatly appreciates the Fridays when “Freedom Petals” is able to adorn our tables with beautiful flowers. Michele will always bring enough flowers so that every service member family receives a floral arrangement to take home. 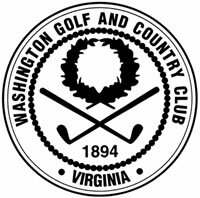 Our “younger guests” always enjoy the table full of sweets that WGCC provides for dessert. So much to choose from! Louis was enjoying the evening! 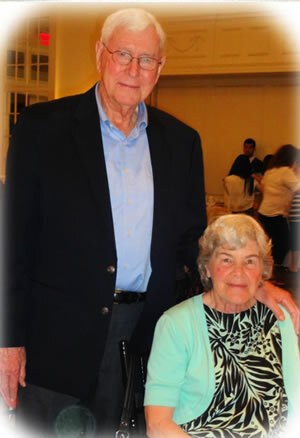 Also, our dear friends, Tom & El Porter celebrated their 61st Wedding Anniversary by having dinner with us. Tom and El have been such an inspiration to the wounded/injured service members as they began their long journey of recovery. Many still remember the “cookie lady” at Walter Reed Army Medical Center … bringing smiles with a homemade cookie made with love! Tom is a Korean War Veteran and a double amputee. El nursed Tom back to health during his recovery from his wounds. 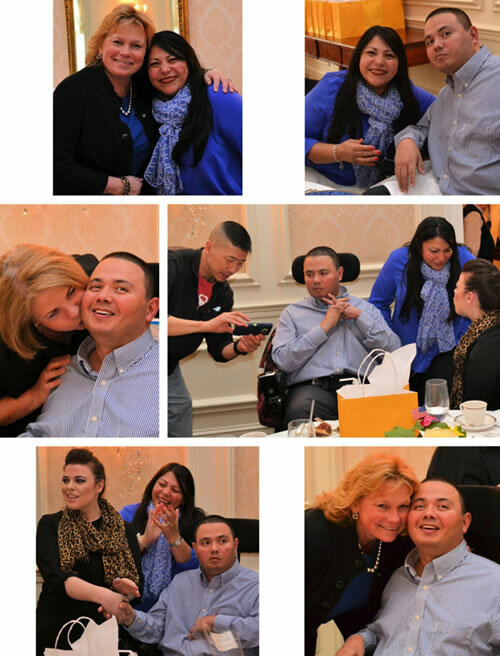 They have been Peer Level visitors at Walter Reed and devoted friends of Aleethia!